180 pages | 2 B/W Illus. Theory of Mind (ToM) is the term used for our ability to predict and explain the behaviour of ourselves and others. Accounts of this theory have so far fallen into two competing types: Simulation Theory and ‘Theory Theory’. In contrast with Theory Theory, Simulation Theory argues that we predict behaviour not by employing a model of people, but by replicating others’ thoughts and feelings. This book presents a novel defence of Simulation Theory, reviewing the major challenges against it and positing the theory as the most effective method for exploring how we know each other and ourselves. Drawing on key research in the field, chapters reopen the debates surrounding Theory of Mind and cover a variety of topics including schizophrenia with implications for experimental social psychology. In the past, one of the greatest criticisms against Simulation Theory is that it cannot explain systematic error in Theory of Mind. This book explores the rapidly developing heuristics and biases programme, pioneered by Kahneman and Tversky, to suggest that a novel bias mismatch defence available to Simulation Theory explains these systematic errors. Simulation Theory: A psychological and philosophical consideration will appeal to a range of researchers and academics, including psychologists from the fields of cognitive, social and developmental psychology, as well as philosophers, psychotherapists and practitioners looking for further research on Theory of Mind. The book will also be of relevance to those interested in autism, since it offers a new approach to Theory of Mind which explains central symptoms in autistic subjects. 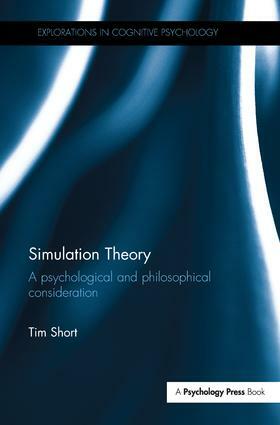 Tim Short is currently studying for his second PhD in Simulation Theory at University College London, UK. His first PhD was in particle physics, focusing on Monte Carlo simulation and computerised modelling of physics and electronics.